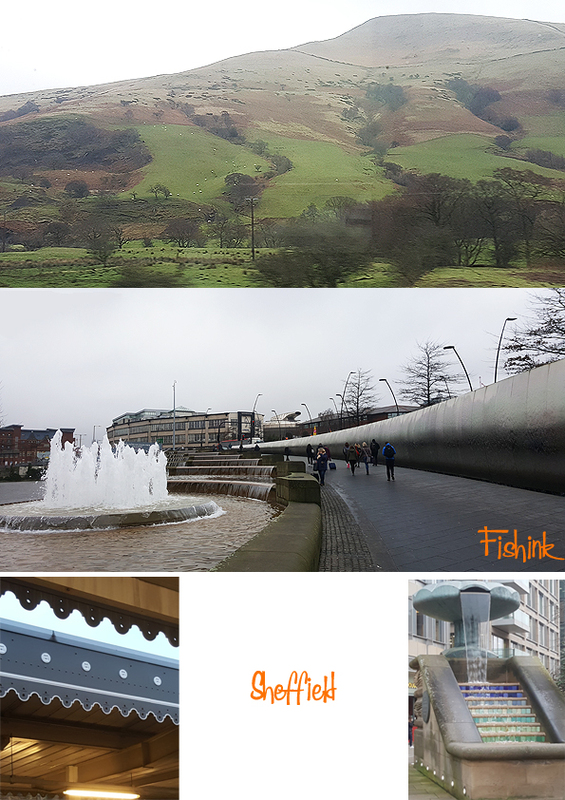 It’s about a 40 minute train ride from Manchester to Sheffield, I’ve never actually visited, always just passing through during my student days, taking coaches between Nottingham and Liverpool. 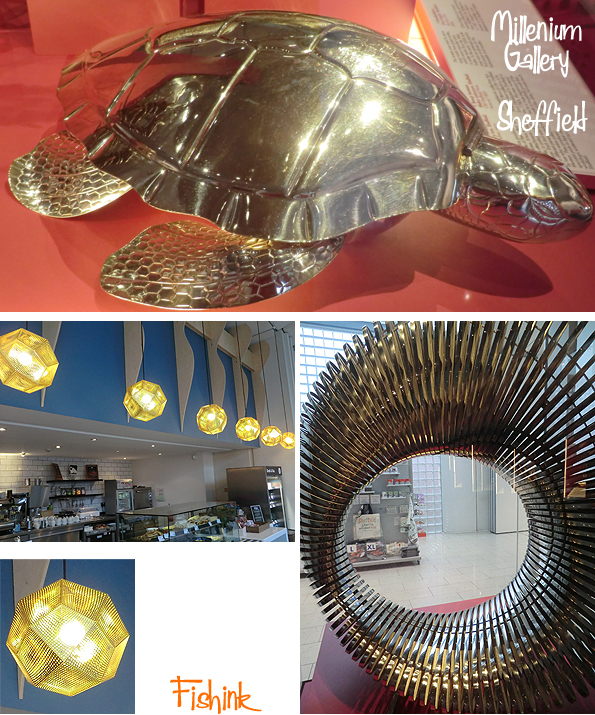 So, a few weeks ago, I decided to remedy this and go and see what the city had to offer. It was a bit of a grey January start. 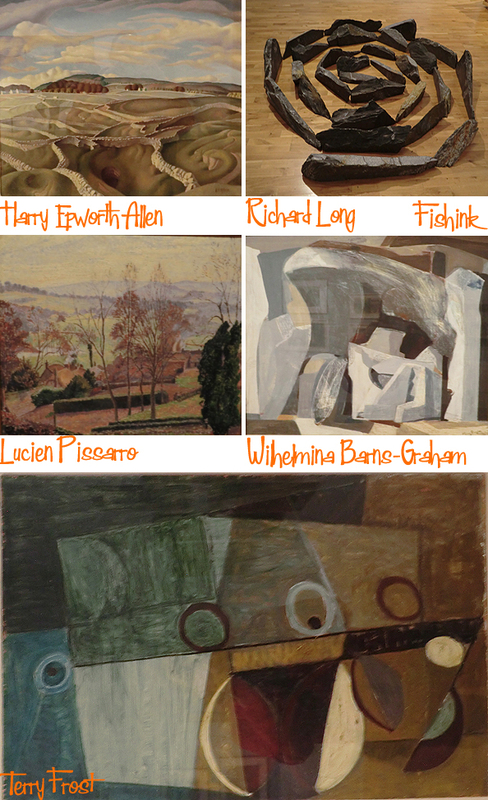 I had hoped to be in time for the Ravilious and Co exhibition at the Millennium Gallery, which came from the Towner Art Gallery to Sheffield and is moving onto Compton Verney Art Gallery in March this year. 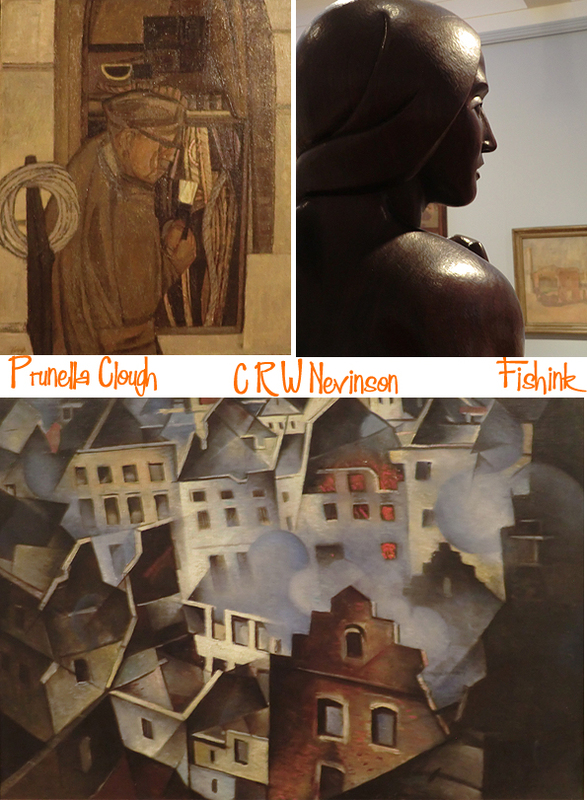 Sadly I was too late and it had finished, which for a free exhibition, I was feeling crazy to have missed, especially as the entrance fee for a non member at Compton Verney will be £25! There was however, a great gallery shop with a range of Ravilious products, I treated myself to this book and look forward to dipping into it when I get the chance. Opposite is a lovely scarf designed by Tirzah Ravilious (nee Garwood). 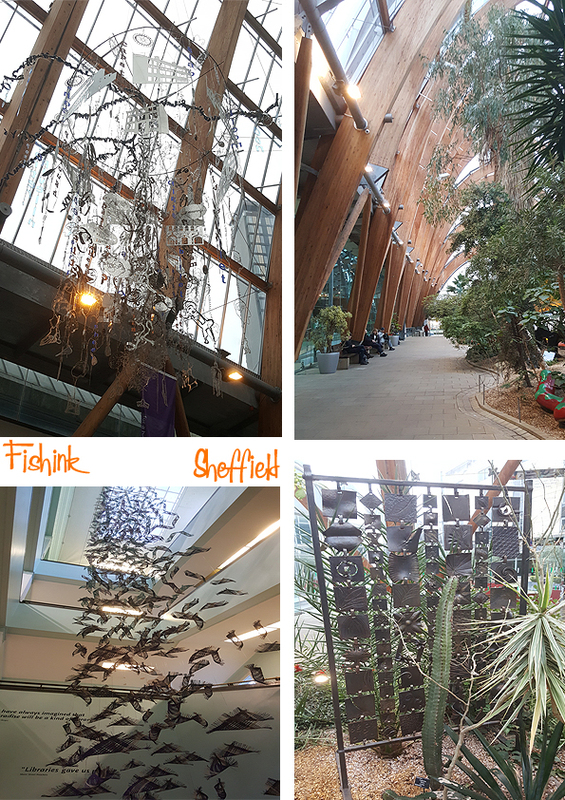 I was impressed by the Winter Gardens, attached to the Gallery and housing botanical plants and sculptures. It’s a lovely airy space. 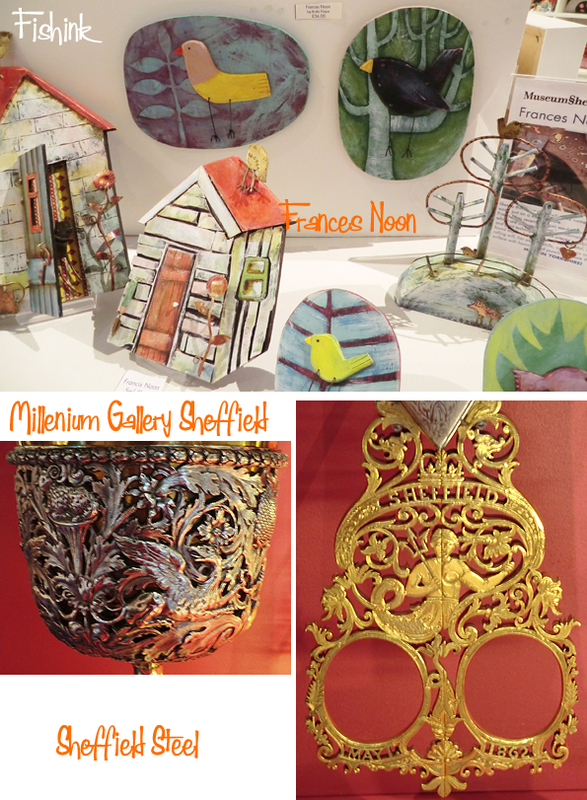 There was a room selling a range of designer/makers work. 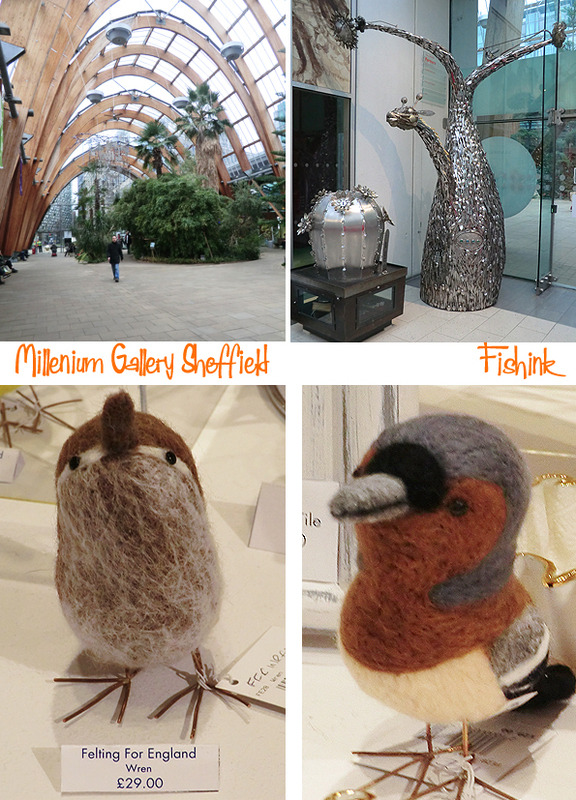 These cheeky birds caught my eye from Felting for England. 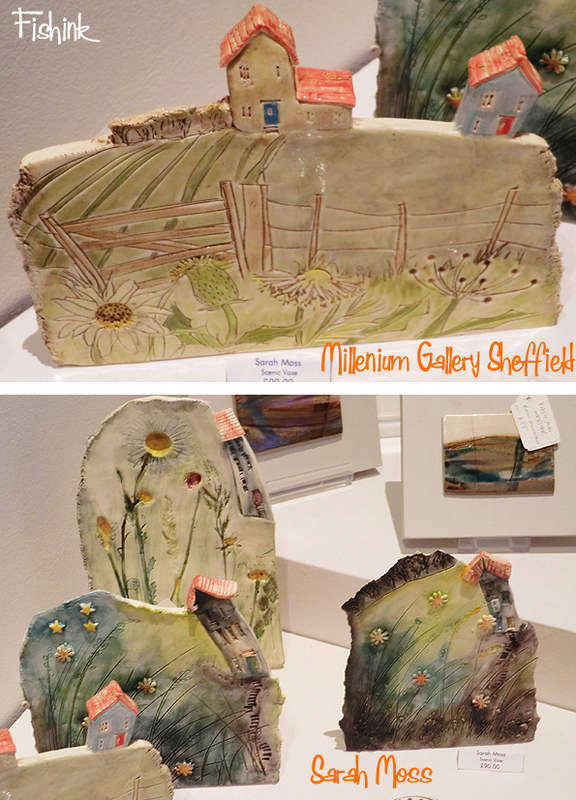 A collection of ceramic scenes by Sarah Moss. And a delightful mix of scenes and birds from Frances Noon. 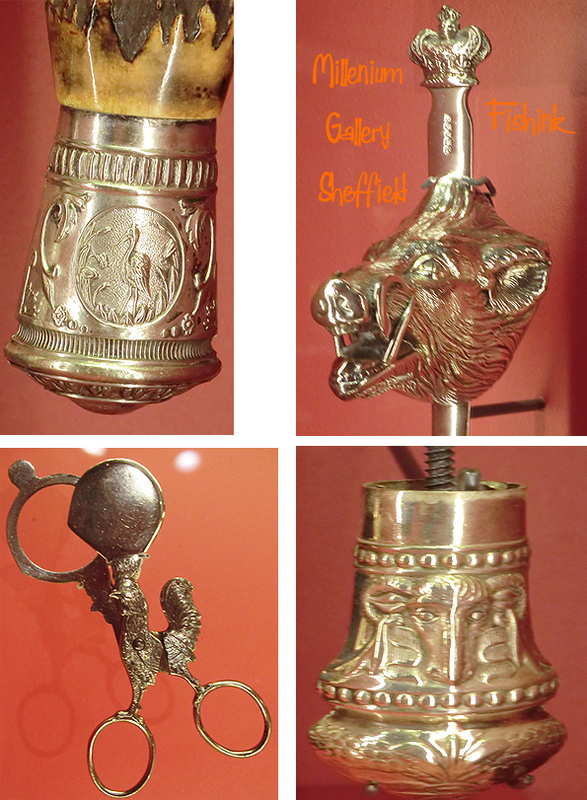 There’s a whole host of steel and silver artifacts on permanent exhibition at the gallery, I was drawn to the pieces with animals in them. 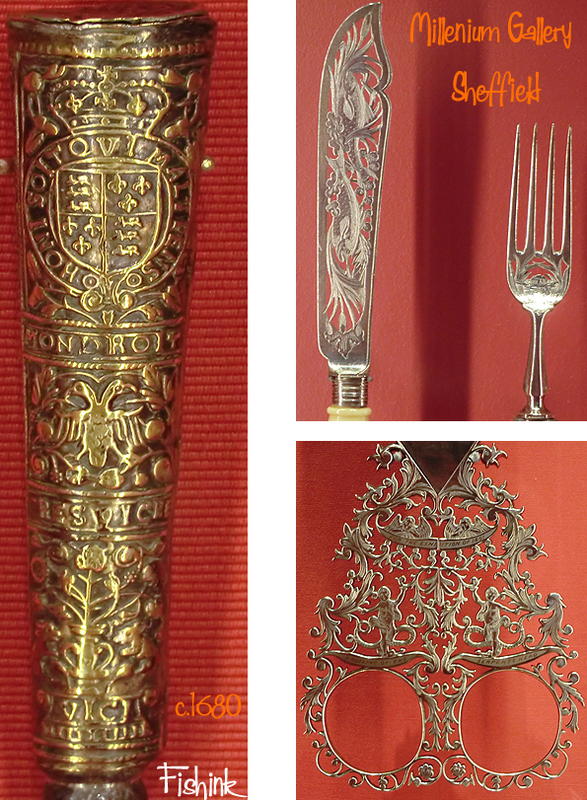 Forks, serving spoons, walking stick ends, door handles… the list goes on and on. Does anyone know what this (above right) was used for ? Answer at the end of the post. 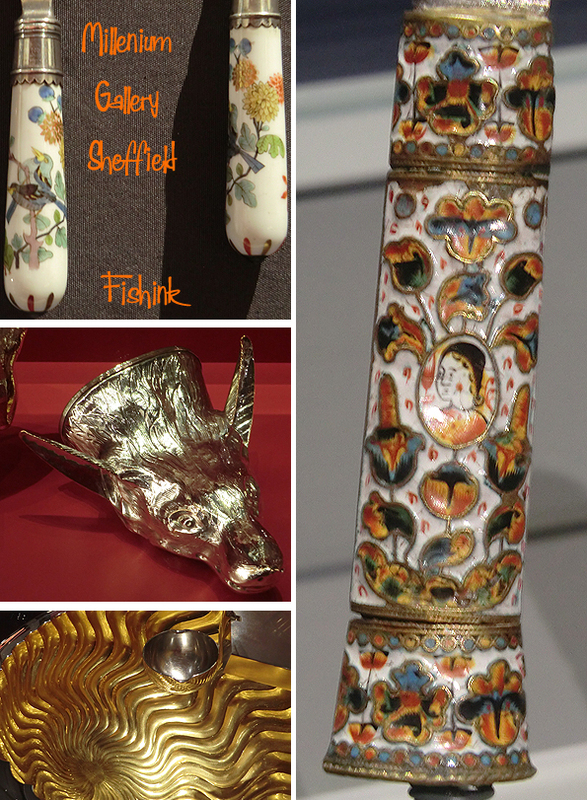 Some of the pieces were dated as early as the 16th century ! 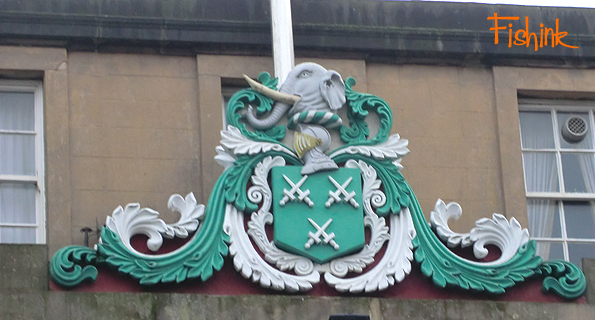 Outside I spotted this elephant, high above the Cutlers Hall. 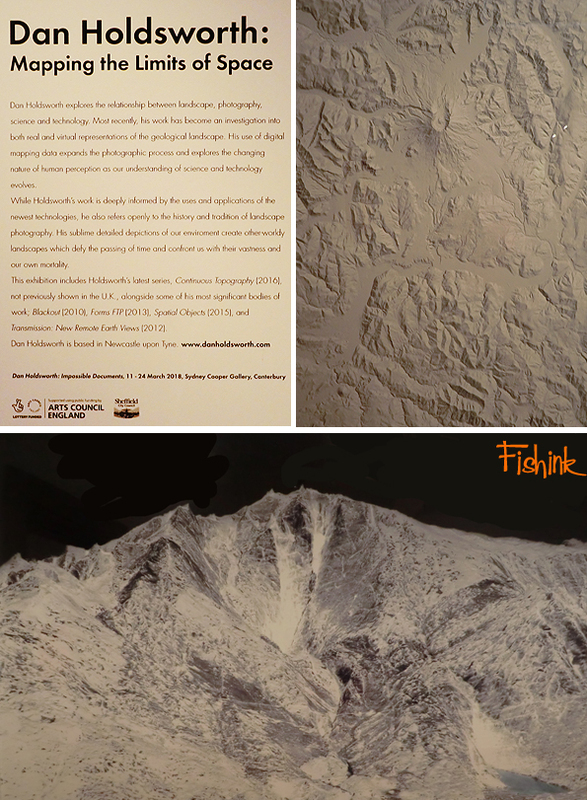 Just around the corner from the Millenium Gallery is the Library and the Graves Gallery, where this exhibition of British photographer Dan Holdsworth was taking place. 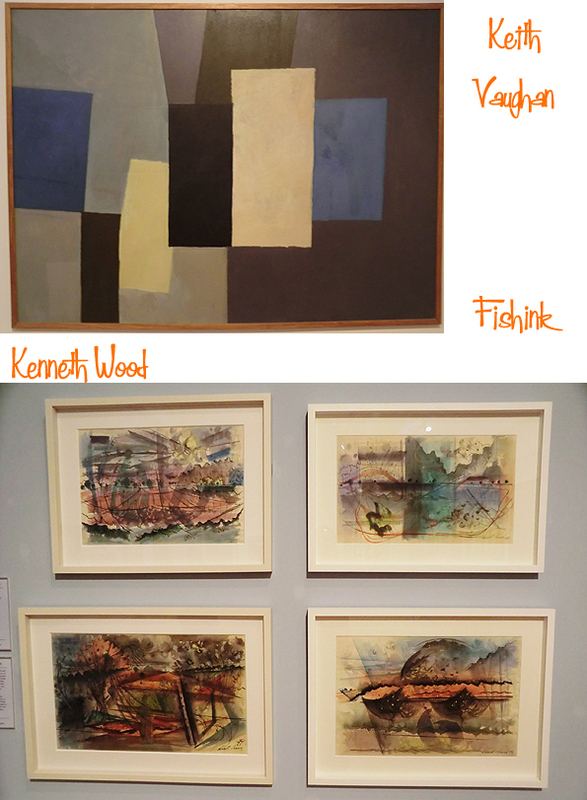 The rest of the art gallery had a great collection of mid century paintings. Quite a few familiar names but also a few new ones to investigate further. 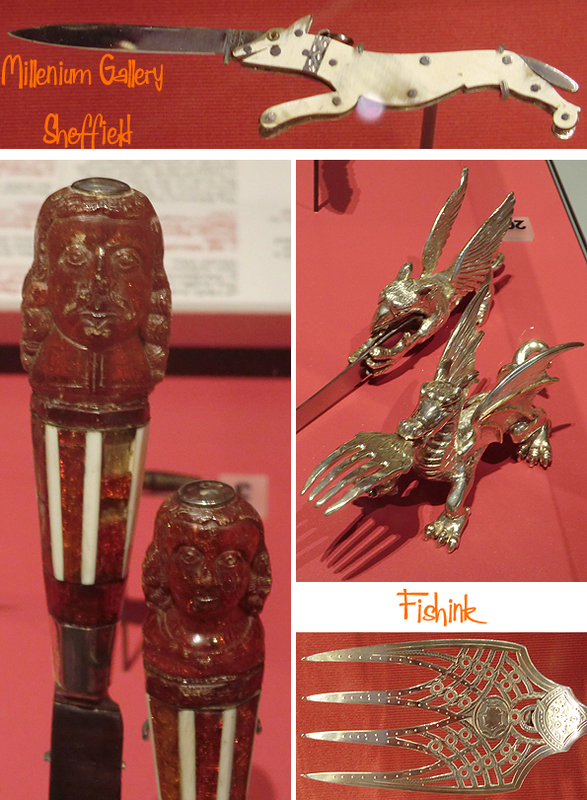 Hard to appreciate the true splendour of some of these pieces, as they are behind glass with light shining on them too. 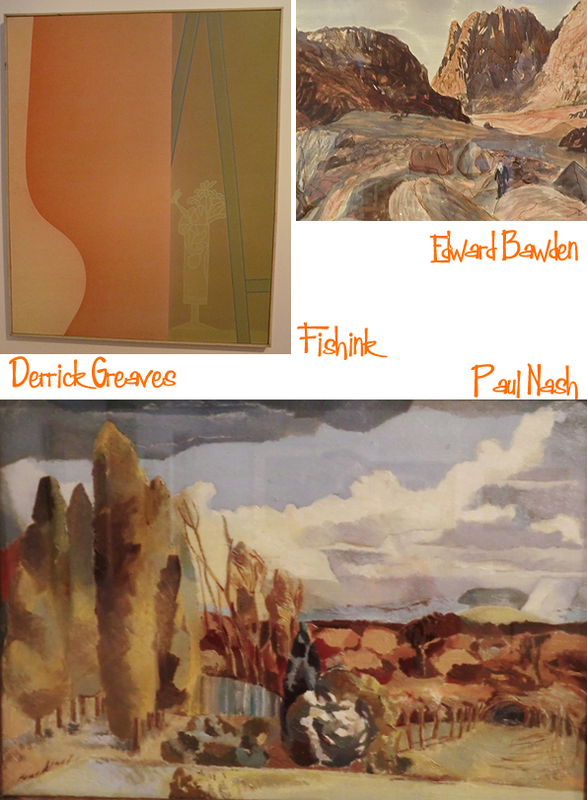 Beautiful landscapes from Paul Nash and Harry Epworth Allen. 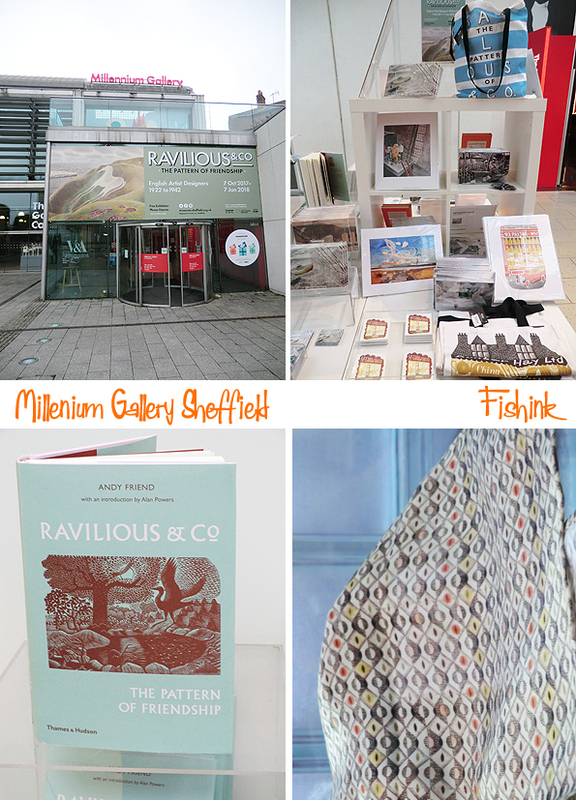 All in all a great day out and a fab introduction to Sheffield with it’s not one but two Art Galleries. I will return, but probably not until it’s warmer ! Well done to those of you who correctly spotted that I’d forgotten to tell you what the mystery object was above … doh.. It’s a device to take the top off your soft boiled egg ! Answer to the mystery object please ! I’m pretty sure it’s for cutting the top off your breakfast soft boiled egg, the easier in which to dip your toast soldiers. So very civilized!